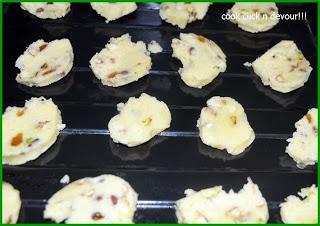 1.Break the nuts into small pieces and dry roast,taking care not to burn.Mix with raisins and keep aside. 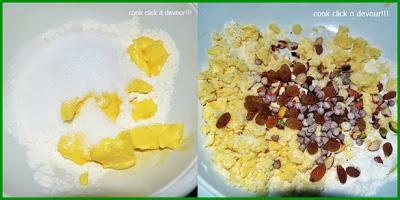 2.Mix sugar ,butter an flour very well till incorporated.Add salt and mixed nuts.Combine well. 3.Add the milk and knead to make soft dough.The dough will be very soft,crumbly and sticky. 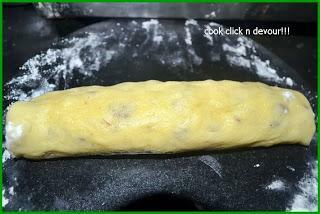 4.Place the dough on a floured surface a make a log.Refrigerate for 1 hour. 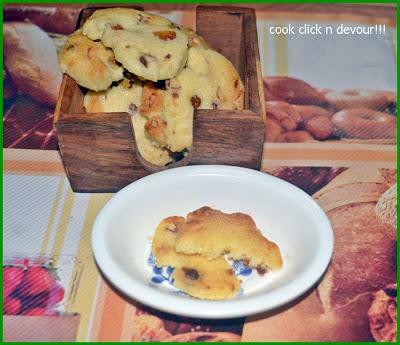 5.Preheat oven at 170C.Cut out cookies of desired thickness(I made them comparatively thin for extra crispiness). 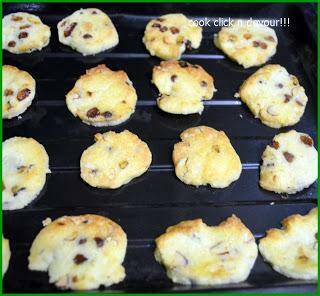 6.Arrange the cut dough in a baking sheet and bake for 10-12 minutes. 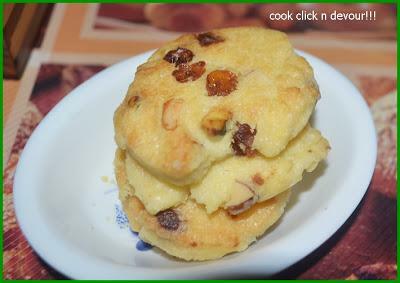 1.Do not over bake these cookies,they cook even after removing from oven and become very crisp. 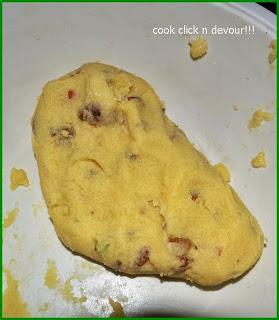 2.You can try substituting whole wheat flour instead of maida,color and texture will be different though. 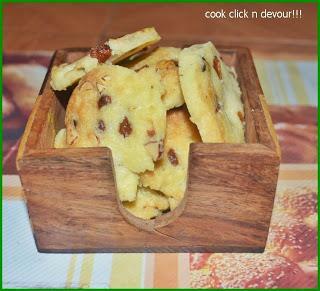 3.You can add fruits like dried blueberries etc to this. 4.Flavoring like vanilla can be added.